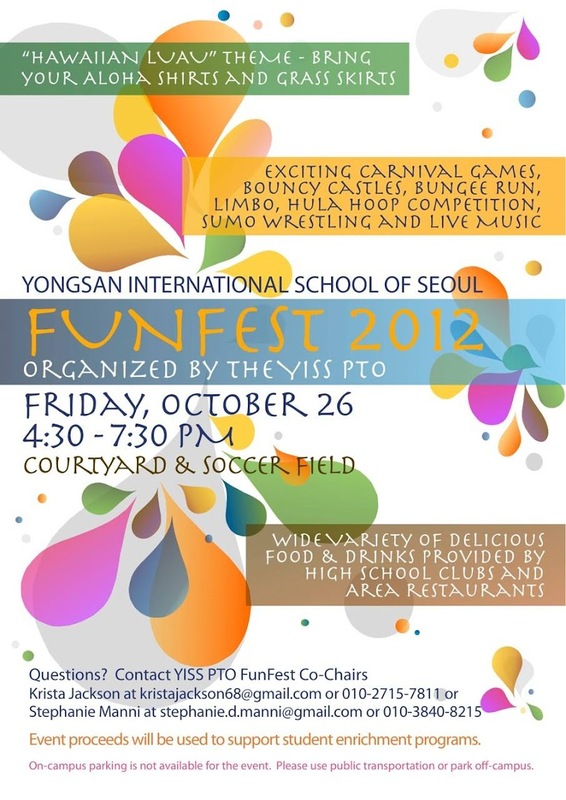 FunFest is a carnival where our entire school community comes together to enjoy a fun-filled evening. Each elementary school class, middle school grade, and many high school clubs contribute to a game, activity, or food booth and parents, teachers, and staff volunteer to prepare food, decorate, and run booths. Volunteers for FunFest stretch their creativity by developing fun carnival style games for all to enjoy. It is one of the most anticipated events of the year by our children. It is also one of the biggest PTO fundraisers for the year held in the fall. This event attracts well over 2,500 people each year. Click here to view the program. Parents and staff - we need your help on the day of the event to ensure everything runs smoothly. Since parking is limited to those with parking passes, we're offering the first 30 volunteers a parking pass. Don’t wait in line at FunFest, order your PTO tickets today! Please return the Ticket Order Form with payment by September 28 to the ES/MS/HS Office to have tickets delivered to your child’s class. Tickets will be on sale in the LOBBY on October 12 from 11:00 am - 12:00 p.m.
We are currently looking for sponsors for game prizes. If you are interested, please visit www.yisspto.org/sponsorship and complete the form to sponsor this event. Your company logo or family name will be prominently displayed on our banners. Every year, students anticipate the many outings, goods, or services provided by our teachers. Tickets from previous events will be accepted. A FunFest Parking Pass is needed to park on campus. No afternoon pick-up or parking is possible on Monday, October 15. FunFest 2016 "Under the Sea"